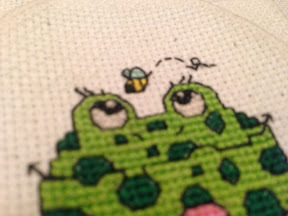 StitchyDonDesigns: The Good Kind of Frog !! Just a little small I have slipped into my schedule as I have been working lots and couldn't really concentrate on my butterfly project. Aww how cute is the lil froggie?? 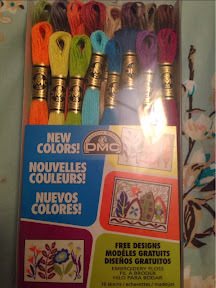 I love the new DMC colours they look really vibrant which is what I like to stitch with the most. 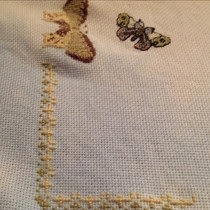 Nice progress on your butterfly project too. 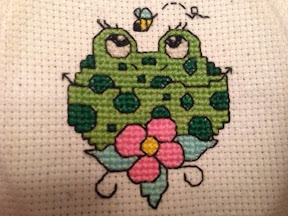 I love the little frog Donna. Cute design. 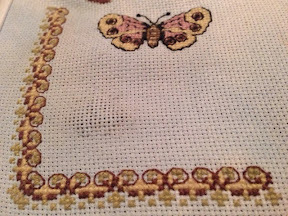 Great progress on the butterfly.